This week was my first week at our company's new offices, so I wanted to make something celebratory to bring on my first day. And what's better than cookies covered in sprinkles? 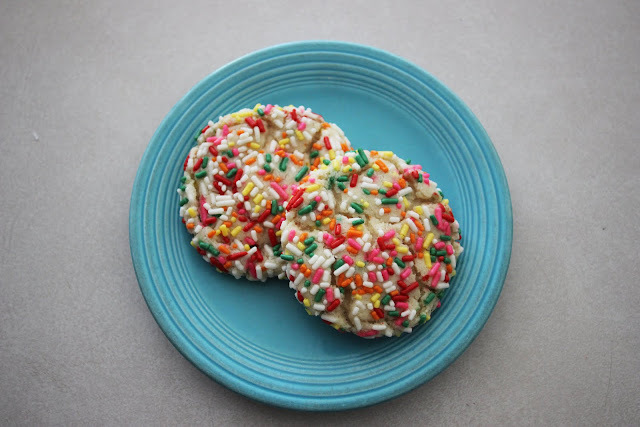 They're possibly the most festive cookies I've ever seen! 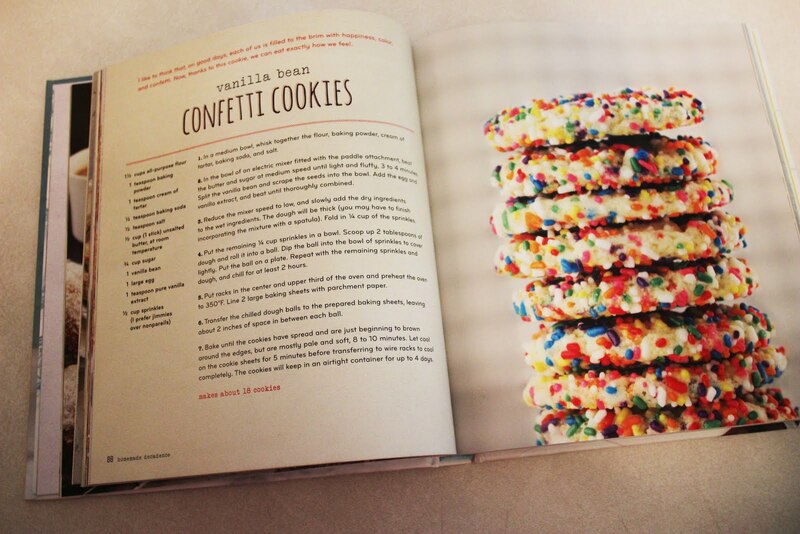 I used Joy the Baker's Confetti Cookie Recipe which I got from her cookbook Homemade Decadence. 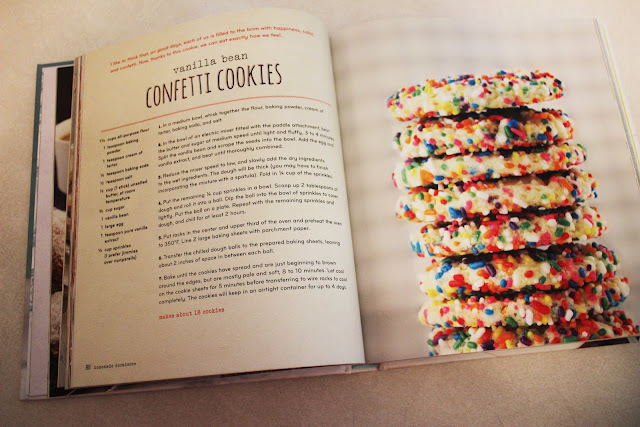 I got this book as a Christmas gift and I've spent many an hour flipping through the pages, drooling over every page - but this is officially the first thing I made from it! 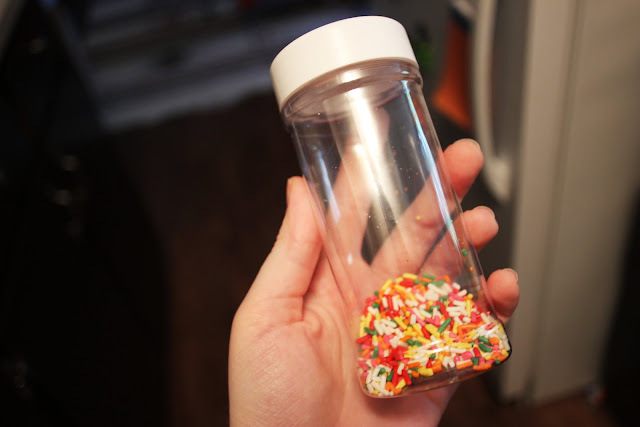 The recipe is not overly complicated, but you definitely do need a jumbo bottle of sprinkles! I used almost my entire bottle - the recipe itself calls for a half cup (1/4 for the dough, 1/4 to roll in) but I used WAYYY more than that. 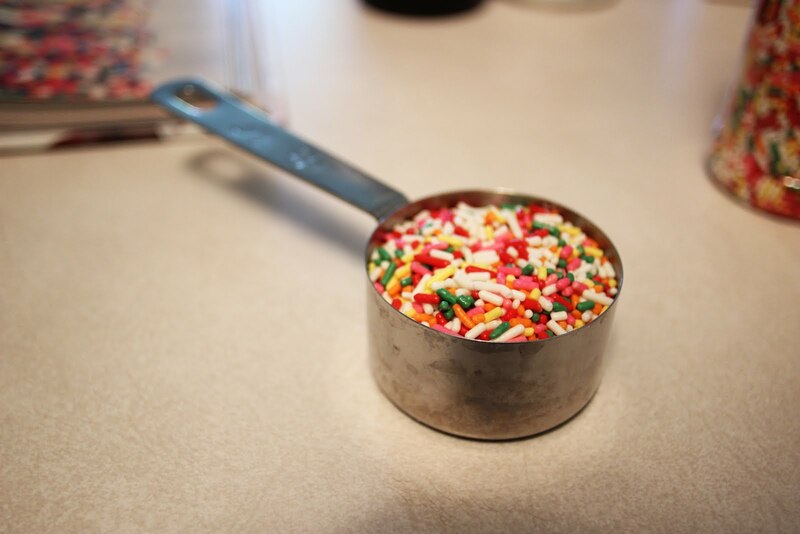 Perhaps I am just excessive, but you can never have enough sprinkles in my opinion. 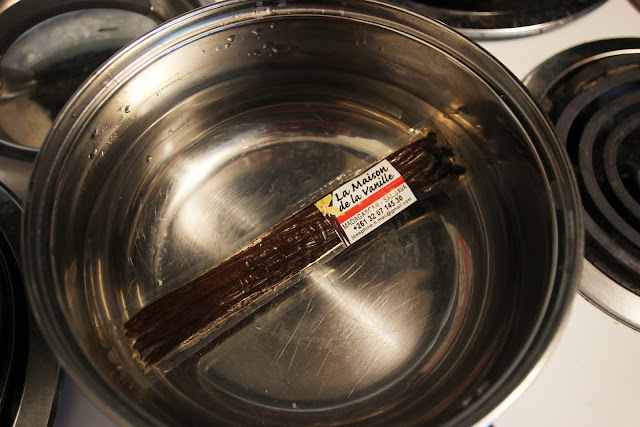 A whole vanilla bean was a main ingredient - and lucky for me, I had a packet of Madagascar vanilla beans in my freezer (a souvenir from my sister's lemur research trip to Madagascar - but I'll talk about how my sister is a badass another time!). I defrosted them in a pot of warm water. 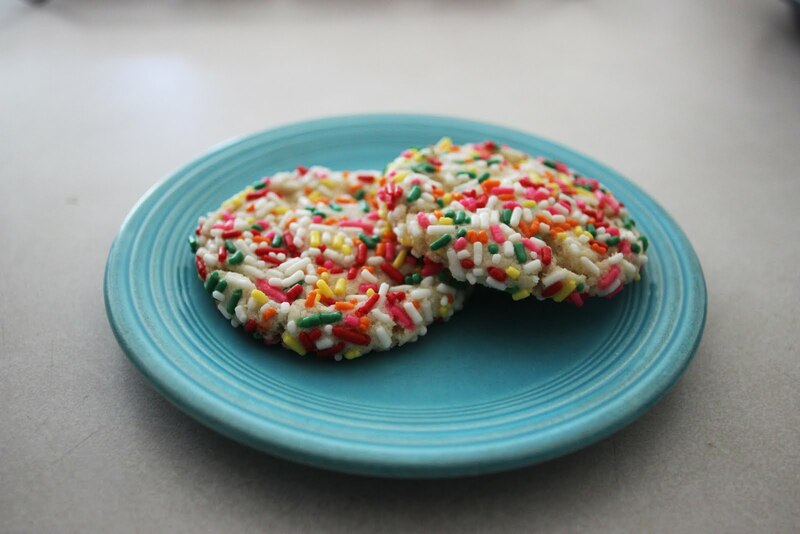 I personally don't feel like the vanilla bean really added much to these cookies - the sugar and sprinkles made them almost excessively sweet, so the vanilla flavor got a little lost in that. I'd rather save a vanilla bean for something where the vanilla is the star ingredient. 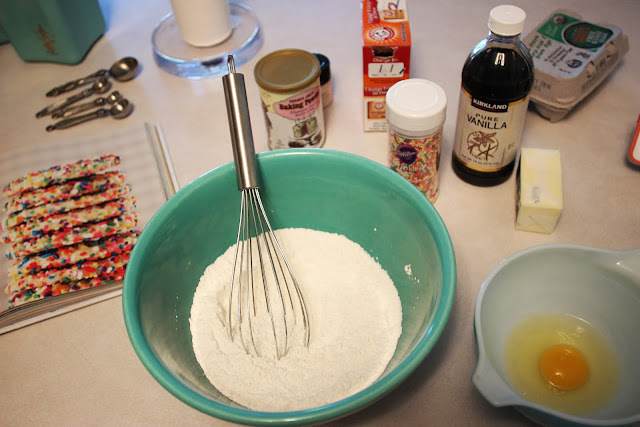 Plus, vanilla extract is also added to these cookies, so I think you'd be fine with just that. Overall, what I did I think? 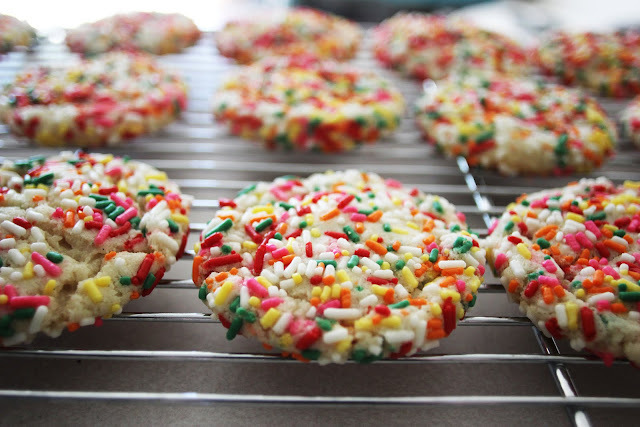 These cookies certainly are gorgeous, and they seemed to go over well at work, but I wasn't 100% into them. I love sugar cookies normally, so I was kind of disappointed. They were just too sweet for me! Maybe my tastes are changing? Who knows. But they do look magical so who really cares.